Although written a century ago, the sixteen stories by Emilia Pardo Baz n collected in this volume are strikingly relevant to contemporary concerns. Noted for narrative complexity, stylistic variety, and feminist themes, Pardo Baz n's stories explore many aspects of the relationships between men and women. Readers of these stories will encounter memorable and affecting characters. A mysterious nun spends her days in a convent crying over something that happened to her many years ago, when she was a young woman. A young man tries to uncover the true reason a scheming woman married his uncle. An unwed pregnant woman finds unexpected help from a misogynist doctor. A bachelor wishing to marry develops a special test for prospective wives, only to see it backfire. And in the title story, a bride suddenly calls off her wedding at the last possible moment without an explanation. 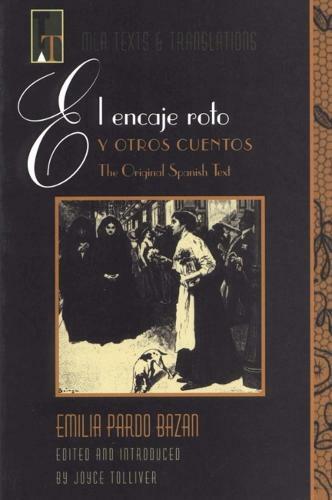 Both outspoken and witty, melancholy and humorous, these stories will interest general readers as well as students and scholars of Spanish literature.